In my review about The GameMaster's Apprentice, I told you about the misprints of my cards. Thanks to the excellent customer service of Drivethrucards, I have now a new set - and not only that, they send me the complete order gain, containing several more games and accessories! That means, I have doubles which I can give away! So, what's in the treasure chest? 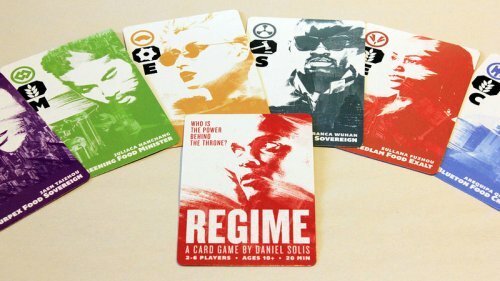 Hope Inhumanity is a card-based game for 3 to 5 players, played in one or two hours. Play ordinary people surviving the extraordinary journey through a post-apocalyptic landscape. Fight off hunger, sickness, and other desperate survivors who want what you want: to find a safe destination where hope still lives. How far will you go to survive? 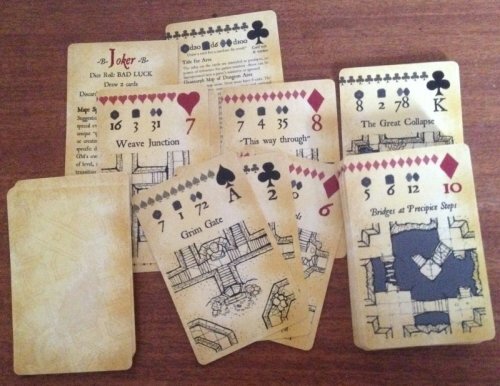 Features: Randomised dice results, d20, d6 and d100/% Hand drawn geomorph style dungeon areas on every card (excluding the Jokers). Each with descriptive titles for easy reference. Portable mapping and dice system, ideal for random play. Can also be used as normal playing cards. Aging parchment theme. Ideal for roleplayers of any games which use d20s, d6s and d%. Especially usefu forl D&D players planning or exploring dungeons (or any fantasy roleplaying game), Savage Worlds and systems which employ card based mechanics. 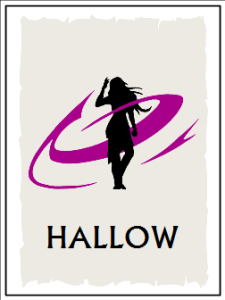 Hallow is a card game for two players, taking 5-20 minutes per playthrough. Each player, acting as a diabolical force, will create a cult and use them to gather enough power to themself to seize control of an area. 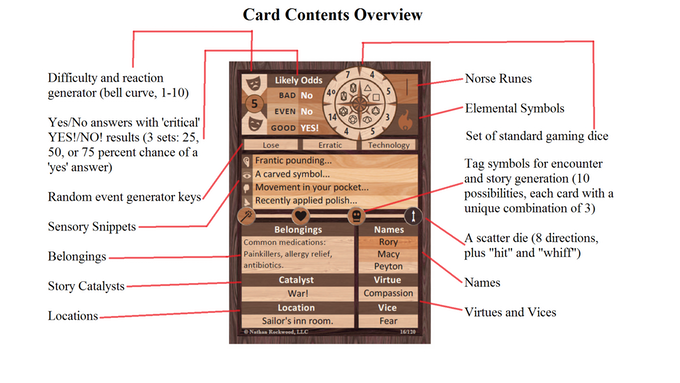 Gameplay itself centres on playing cultist cards, drawing tokens to them from a central pool, and then spending them on card abilities. These abilities include increasing your score towards winning, eliminating enemy cultists, stealing tokens, concentrating and dispersing tokens in play. 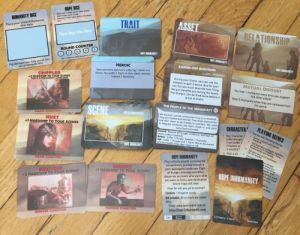 Setting up an efficient combination of cultists to gather tokens and breaking up such combinations when your opponent builds them are equally valuable in play. This is the faulty used card set with 3 three misprinted cards (out of 60). They are still usable but don't look that nice. 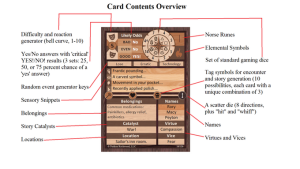 The GameMaster's Apprentice is a genre-and-system-neutral deck of cards that can be used as either a supplement for traditional tabletop RPGs or as a complete game engine for GM-free solo or group RPGs. 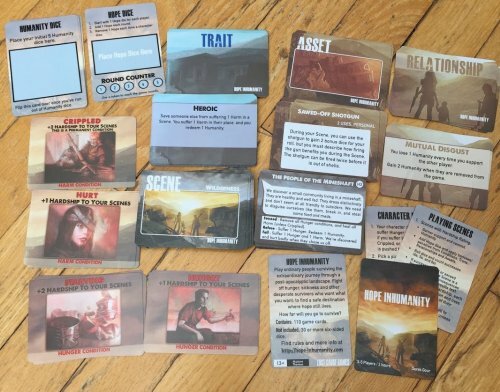 On each card is a set of fourteen individual randomizers; with 60 double-sided cards, you can generate literally millions of possible adventures, all without having to hunt through a book or PDF for a single table! Just to be clear: all games except the GMA are NEW! Please share this post on G+, Twitter, Facebook or your blog! Win a game at http://dieheart.net/loot! Please comment here with a link to your tweet, post etc. Don't forget to provide a valid email address so I can contact you if you win! If you like, you can give me your preferences on which game you like best. I will pick winners randomly. The first winner will definitely get his first choice, the second winner will get his first choice of the remaining 4 games and so forth. The fifth winner will get what's left (but hey, it's still a win). The giveaway runs till the end of the month! August 31st, 2015, 24:00 UTC+2!